Announcements from The Elven Padawan! Attention, everyone!! It’s time for some announcements!! First of all, in the coming months you’ll probably see some new additions to the TEP site. I’m always looking to expand and grow TEP, and as I continue to do that, you’ll see some matching changes in the look of this place, too. Since the news of this new Lord of the Rings show from Amazon broke, I finally decided it was time to add a separate section for Tolkien-related things, and although there’s not much out there for it yet, that will most likely be changing very soon. Alright, now you may be thinking I’m a tad over-excited about this. But honestly, I’ve been wanting to update that art for so long, and never could figure out what to do with it. And please, don’t anyone take this as a problem with my original artist! 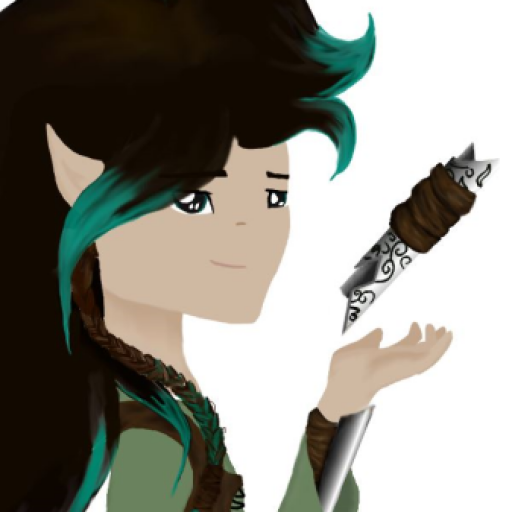 My good friend Audrey drew the original art for the podcast, and I still totally love what she did, but I could never figure out how to arrange it and make a logo for The Elven Padawan that I really liked. But now, the problem has been solved! And therefor I present to you, my readers, my lovely new podcast album art, created through the combined efforts of Audrey, myself, and Kitten!! You may remember that Kitten originally drew that awesome logo that is at the top of this site, and is also included in the new podcast art above. She also helped me out by fixing up that cool new word-logo in the lower right of the art (check out the details! My costume “elvensaber”, green vines and leaves, and Ahsoka-style padawan beads!) And that lovely “Erebor to Echo Base” part you’ll recognize as the original art by Audrey, though showcased in a much better fashion than previously!! And finally, my biggest announcement, and one I’ve been very excitedly waiting to tell you all!! First, an explanation: as some of you may know, I started high school this year, and I spent the good part of last semester just trying to stay caught up and get used to the new way of things. I had to step back a bit from The Elven Padawan for a while, especially the blogging aspect. In fact, my recent blog post on Kanan’s choices in the mid-season finale of Star Wars: Rebels was the first I’d done in a while. On top of all that, I’ve also recently joined the team over at The Future of the Force, and though I’ve only had one article with them so far, I’m hoping to really get on top of that soon and continue my series on the symbolism in Rebels. And I’ve really been trying to keep things rolling with the podcast, too. Introducing The Elven Padawan’s newest blogger, my good friend and fellow Star Wars and Middle-earth geek, Audrey! Many of you have already seen some of Audrey’s writing from our weekly reviews of the fourth and final season of Star Wars Rebels, as well as the guest post she did for me a while back (and we’ve already talked about her artwork for TEP! ), but I figured it was time to go ahead and make her a full-on writer for this blog. You’ll be seeing articles from her regularly, and in preparation, I did a quick little interview with her to help you all get to know her better. 1. What first made you into a fangirl? Audrey: I think Star Wars is the first thing that really turned me into a fangirl. Yes, I had movies I liked before seeing Star Wars, but I didn’t have a “favorite”. When I first heard that my brothers were watching it, I declined, thinking that it was a boy’s movie and would be boring. I was wrong. Really really wrong. I popped into the room while they were in the middle of A New Hope and decided that the story was pretty interesting after all. I tried to hide how much I liked it for a few weeks, but gave up quickly. And I’ve never looked back from there. That was a little more than two years ago, but I didn’t understand what a fangirl was until about a year ago while talking with some friends online. But once I did, I knew I definitely was one. 2. When did you first get into Star Wars? Same for Tolkien? Audrey: Without my brothers, I don’t know how long it would have been until I wanted to watch Star Wars. I think the first thing that captivated me so much about it was how different it was from any movie I’d ever seen. Star Wars was really only the third or fourth live action movie I had watched, and because of that it immediately felt more real. I loved the characters from the start, especially Leia because she was finally a princess who got to fight. I don’t like admitting this, but I was also curious as to how she was going to marry the guy she’d been yelling at since she’d met him (my mom spoiled some things for us). As the story went on though, I started caring less about that and more about the story as a whole. As for how I got into Lord of the Rings, you (Shay), and one of my other friends were the first people to talk to me about them. I thought they sounded interesting, so I asked my parents if we had the movies. Yes, I watched the movies first. I know sometimes people don’t like that, but I feel like it made reading the books easier because I could already picture the characters. I liked them right away since they had all the things that make my favorite movies my favorite. Good against evil, strong lessons, adventure and some fighting, with just a bit of romance. I’m not sure I completely count as a fangirl for them, since my knowledge of Middle-earth is very slim, but I’m working on changing that. 3. What characters are your favorites in each series (Star Wars and Lord of the Rings)? Can you give a few reasons why you love them? Audrey: For Star Wars, Leia, because she goes through so much and is still fighting. Her defiance of evil and courage are inspiring. She was part of what changed my mind about Star Wars. Second is Han, and I’m not entirely sure why he’s my second favorite. I like how he changes through the story from a selfish smuggler, to someone who takes risks for others and plays a huge part in defeating the Empire. Some of his lines are the ones that have made me laugh the most. This list could go on forever though, so I decided on top three. For Lord of the Rings, my favorite character is Sam. Sam is the best. He’s loyal, brave, enduring, and generous. He doesn’t let anything stop him from continuing on with Frodo, no matter how dark or difficult things get. Éowyn is really tied with Sam for first. Like Leia and Rey, I like her because she’s a strong girl character and gets to play an important part. It fascinates me how she’s able to balance her duties and her desires so well. Aragorn is my third favorite because he patiently waits for the time when he would be crowned king, unlike most people who would probably try to take the kingdom that should be theirs and would hate the people related to the current king of it. When everything is going wrong, he doesn’t get discouraged or worry, he just makes up a new crazy plan. 4. Top favorite OTP, and a brief reason why you love them. Audrey: Kanera (Kanan Jarrus and Hera Syndulla), is my favorite ship, because they don’t have a super dramatic or overly done relationship. They respect and believe in each other, while still teasing each other sometimes. 5. Which would you be: Rebel, Imp, Jedi, Sith, Resistance-woman, or First Order? Audrey: As cool as it would be to be a Jedi, I don’t have that kind of discipline and don’t think I’d enjoy it very long. So I think I would like the most to be part of the Rebel Alliance, working as either a Fulcrum agent or as a strategist, like planning out the best options for battles and missions. I’d still want to be human. 6. Which would you be: Hobbit, Elf, Dwarf, race of Man, or another (like a Vala, Istari/wizard, Ent, skin-changer, etc.)? Audrey: Definitely a Hobbit. They live nearly exactly how I would want to, in cozy houses, with lots of books (Bilbo at least had lots of books), growing food in their backyards, and living in a cheery place with grass and trees. And my mom wouldn’t have to keep telling me to put shoes on because no one would wear shoes! 7. Anything else interesting you’d like to say in connection to all this? Audrey: Sometimes I worry that when I get older I’ll stop being a fangirl. (I doubt that, but it could happen.) But I know that even if I stop counting down the minutes until the next movie or book comes out, or don’t enjoy having long discussions about them, I know that the stories and the lessons will stay with me forever. You can catch Audrey’s first blog article with The Elven Padawan next week, when she’ll be giving her insights into what to do while Star Wars Rebels is on break. And that wraps it up for the announcements this time! I hope you all are looking forward to the things I’ll be doing with The Elven Padawan in the near future as much as I am! What do you think of the new podcast art? Are you excited to see more coming from Middle-earth? Do you have any suggestions for things you’d like to see added to The Elven Padawan? Please let me know in the comments below!! Hi everyone, I’m back! That’s right, I survived my exams, and I’m rejoicing in the freedom that is holiday break!! While I’m off, I plan to get some work done around here with both this site and the podcast, including updating the news to reflect all the recent happenings in the Star Wars franchise, plus some other cool stuff you’ll be hearing about soon. But first off, I’m going to make my first blog post that I’ve done in a while. So on to what I really want to talk about. I have a few things to say regarding Kanan’s reaction to Hera’s crash, and his plan to rescue her. First, I already know that everyone’s going to start thinking out some rant about attachments and love and how these things will inevitably end in tragedy and that Kanan is going to fall into and trap where Hera’s the bait and that will be the end for him. But here’s the thing: all that doesn’t have to be the case. I’ll admit it openly and with no problems: attachment can be a problem for a Jedi. Think about it. Almost every bad decision, or choice that can be labeled as “bad” by some fans, that a Jedi or Light Side Force-wielder has made stems from an attachment somewhere. Ahsoka Tano stayed behind and supposedly died on Malachor because of the attachment she had to her former master, Anakin Skywalker. Obi-Wan Kenobi disobeyed the orders of the Jedi Council to go to Mandalore and try to rescue Duchess Satine Kryze, eventually resulting in her death at the hands of his mortal enemy, Maul. Even the Chosen One himself, Anakin Skywalker, committed horrible deeds including mass slaughter of students and younglings, all in the name of saving someone he loved from death. But here’s the problem: each of those people still had a choice. Ahsoka still chose to stay behind with Vader, knowing that it meant certain doom for her. She made a conscious decision about it, knowing full-well that Kanan and Ezra would take the ship and leave. (And honestly, I think that’s another little aspect to why she did it, to help them escape.) Obi-Wan deliberately chose to help Satine, and though it ended in tragedy, it was the risk he took. And seriously, people. Do you really believe that there wasn’t a point where, deep down inside in a place he buried beneath all the emotions he was feeling, everything Anakin did became less and less about saving Padme and instead more and more about exacting revenge on the people he felt had wronged him, and gaining power to make people serve him as a little boy called Ani once had to serve them? When Padme follows him to Mustafar, notice that he isn’t heartbroken when she begins to back away from everything he’s become in the past few days, but instead flies into a rage. Notice that, alongside his claims that he can now save her from a fate she never believed was her’s, he was also bragging about how he now ruled the entire galaxy. No, the people who make each of these choices are never forced to do so out of their good will for fellow beings. They all chose to do the things they do, and when those things are evil, it’s not love that’s actually responsible. Now how does this all end up leading me back to Kanan, and his choices in this episode? I’m going to really dissect this whole thing and look at Kanan’s choice to go back for Hera, and his eventual decision to turn back around. #2: The wolf was Kanan’s warning. Now I know we don’t have all the answers to what the wolf is really up to, and I’m sure there’s a lot more to what he communicated to Kanan than just this. But the wolf sitting in the middle of the highway, blocking Kanan from thoughtlessly rushing into the middle of an Imperial-overrun area, was his warning. I don’t hold Kanan’s actions against him, they’re totally natural. Everyone begins to make bad moves in their lives, I’ve done it myself countless times. But I’ve always had my parents to let me know when something is going in a dangerous direction, and to caution me about how this might end. That was what the wolf did for Kanan. It was letting him know that his emotionally fueled decision would probably end in disaster, and it gave him a few minutes to calm down and realize this for himself. Kanan knew what he was doing was a bad idea, and it speaks volumes about his character that, although initially frustrated by the interruption of his plan, it didn’t take him long to change that attitude around. The look on his face when he removes his mask and asks, “What must I do?” reminds us that he’s really worried about Hera, but he’s also willing to wait and accept the wolf’s correction. Like I said, I’m sure we’ll be finding out a lot more about the wolves when the season starts back up, and there’s probably much deeper things that it told Kanan concerning his and Ezra’s place on Lothal. But for now, to me, the wolf was a warning sign, forcing Kanan to stop, breathe, and realize just what he was about to do. Kanan decides to go back and try to help Hera. I’ve already said, I don’t blame Kanan for his reaction. It’s totally natural. And beyond that, when you really think about it, unlike the choices made by Anakin, what’s happening with Kanan is based on a much purer intent. Remember where this man has come from. He lost everything. His childhood, his way of life, his family, his faith, even his own name and identity. He became lost somewhere between pain, anger, and denial. The pain of trying to understand why everything happened the way it did, his anger at the Force for letting such a horrible fate befall those who lived every moment of their lives in faith to it and at the troopers who called themselves his friends only to betray him as a young teenaged boy, and his denial of the fact that he truly cared about any of it anymore. We find out in A New Dawn that Kanan worked jobs with excitement and danger to numb everything he was feeling, and to make enough money to try to drink away everything that had happened. And in the middle of all that, here comes Hera. She’s on her own mission with the infant Rebellion, and her focus is all on that. But she does have a mission. Of course, Kanan first notices her because of her physical characteristics (well, actually it was her voice first, but it didn’t take him long to notice the other). He tries to convince himself that he’s only following her around because she’s another pretty girl to flirt with. But in the end he’s dragged into her whirlwind of a mission, and by the time we first see him again in Rebels, he’s accepted her cause for his own. He’s decided that he does care about the evilness of the Empire, and that he’s willing to fight against them because he truly believes that it’s worth it, not just in the hopes that maybe Hera will pay some attention to his advances if he goes through all the motions of becoming a Rebel. But it was Hera that first showed him that there were some things worth fighting for. Had it not been for Hera Syndulla coming to Gorse in attempt to gain information on the Empire’s surveillance practices, then giving him a chance to realize who he truly was and bringing him to understand exactly what was at stake in this war, then he would still be lost. Actually, it’s way more likely that he’d be dead by this point. But because of Hera, he’s not lost anymore. He’s returned to his faith, he has a purpose in life, and he has a family. Now as much as I love her, I’m not trying to say that she’s perfect or that she’s the only one who has contributed to his character development. It’s also been the result of taking on Ezra as his apprentice, as well as interactions with other characters the team has encountered, such as how meeting Captain Rex and his compatriots helped him to finally release the bitterness and anger he held for the troopers that slaughtered his master, Depa Bilaba, and later hunted him down. However, this does all lead back to Hera, and her decision to give him a chance. This really hit me way back in season two, in the episode “The Protector of Concord Dawn”. When Hera is hurt badly in an attempt to persuade the Mandalorian faction the Protectors to join the Rebel cause, Kanan chooses to go back to Concord Dawn and try again, while Sabine is bent on taking revenge on those that hurt Hera. When Sabine sneaks on board the Phantom as he’s taking off, he tells her that he’s giving the Protectors another chance. Even though they explicitly said “No thanks” the first time and almost killed the Ghost crew’s captain and team leader. He knows that these Mandos can be a huge help to the Rebellion, and that it’s what Hera would have wanted them to do. This becomes a running theme throughout the episode, as Kanan continues to staunchly believe that some people just need a second (or maybe third or even fourth) chance, like the one he was given. It struck me that this was his way of carrying on what Hera did for him: she gave him a second chance, put up with all his annoying flirting and attempts to get out of everything, and in the end he saw just how important the cause of the fight against the Empire was. And that made a huge impact on him. Can you really blame the guy for having an attachment to her? I know I’d certainly have an attachment to any person who did all that for me, whether there was any more to it than that or not. But for them, there is more to it. On top of everything she’s done for him, not to mention the things he’s done for her, how long they’ve fought side-by-side in this war and always been there to have each other’s back… there’s even more to their relationship. These two have cared deeply about each other for a long time, longer than even the show has shown. From the moment they met and and got sucked into the Gorse Conflict together, they just seemed to “click”. Their personalities, their gifts and skill sets, their methods of fighting; somehow, everything fit together to make them an amazing team. It wasn’t hard to pick up on the attraction between the two, something that went deeper than just the flirty, surface here-then-gone relationships Kanan had managed to always find during his years in hiding. Though it understandably took Hera a while to let herself get close to him, once she did, she found a battle partner that would stand by her side through everything, and ultimately, a life partner as well. These two are bound together in one of the deepest ways, and their faith in each other is one of the few things that gives them a bit of joy. Even Dave Filoni has one of his famous tweets dedicated to the two and how their relationship brings them some joy in the darkness through their complete understanding of each other. We still don’t know how their story will end, and whether they’ll be able to do anything with this connection and actually end up living out their lives together as they hope, but undeniably, the wish to do so is there. Everything’s still not out in the open between them, but after over three seasons of dancing around it, their feelings for each other have become pretty evident. The possibility of a future together is one of the few things they can hold on to through everything else. So to finally come around to point #3 in my breakdown of Kanan’s reaction: What he wanted wasn’t wrong. What he wanted was to try to help the woman who helped him find his way, who is the reason why he’s even on Lothal in the first place, the reason why the other members of the team are around and probably why all of them are still breathing at that very moment. You can see that in his expression when he removes his mask to talk to the wolves. He just wants to try to protect her, and he doesn’t want to have to add her to the list of things he’s lost. Especially not the the reason she would be going on that list was because he turned around and left when he could’ve tried to go back for her. Can anyone truly blame him for that? Of course there was no chance he could have actually help her. He was one person, not to mention one blind person, among a ton of Imperial troops sent there specifically the take out him and his crew. Like I said way up at the top, his decision was rash and it was necessary for the wolf to stop him; but at the heart of the whole thing was a very pure and understandable desire. #4: I can’t blame Kanan…. because he stopped. If Kanan had blasted his way right straight into the city, only to be gunned down by stormtroopers moments after arrival, I don’t think I’d be able to blame him too much then either. I would have been disappointed in him, definitely. He’s way too smart, especially after all he’s been through and how much he’s grown over the course of this show. I would have been super annoyed at however wrote that ending for this character. I mean, seriously?? Give him all that character development and build everything up, just for him to act that dumb and die from it? And honestly, I would probably have been really mad at Kanan for a while… until I though it all out and realized everything behind it. It still would have felt like a major cop-out, though, and I’m really glad the team didn’t take it in that direction. When the Loth-wolf had to get in his way and stop him to warn him of what he was about to do…. He stopped. He listened. He asked what he needed to do to make it all right again. In the first installment of The Lord of the Rings, The Fellowship of the Ring, Gandalf the Grey has finally come to the horrible truth about that shiny golden circle that Bilbo Baggins owns: it is indeed the One Ring of Power, created by the Dark Lord Sauron and filled with his malice for all other living beings. Gandalf knows exactly what it means, and exactly what it could do to the unsuspecting Mr. Baggins, who found it on his adventure with the Dwarves so many years ago. He knows that he must act fact, and separate Bilbo from the Ring if the hobbit is to have any hope of escaping its grasp. But having already had the ring in his possession for over sixty years meant that it was beginning have an effect on him. Bilbo wants to leave it behind, but at the same time he doesn’t; he tells Gandalf that it’s in an envelope on the mantle as he starts out the door, only to realize it’s actually in his pocket. When Gandalf begins to urge him to leave it, Bilbo snaps and accuses Gandalf of wanting to steal it from him, getting a look in his eyes that is eerily reminiscent of another former owner of this “Precious” little gem. Gandalf seems to grow twice his size, his voice deepens, and he reprimands the hobbit harshly, breaking the Ring’s hold on Bilbo, reminding him, “I’m not trying to hurt you. I’m trying to help you.” As Bilbo’s eyes fill with tears in realization of what’s happening, he runs to Gandalf’s arms, before turning his back on the Ring once and for all, and setting off for a long vacation with the Elves in Rivendale. From the first time I ever watched Fellowship, I never blamed Bilbo. I understood exactly what was going on with him, and sympathized with his plight. He never meant any harm by picking up the Ring, and he never had any malicious intent in using it to play disappearing jokes on people. Everything that happened with him was a result of the higher powers of Middle-earth at play. But I never felt anything against Gandalf either, because it was his job to stop Bilbo before it was too late. See, just like Kanan, and just like all of us people, Bilbo did ultimately have a choice about what he would do. He could defy Gandalf, give himself over to the control of the Ring, and choose to serve Sauron, whether initially or not. Kanan could stop, listen to what the wolf had to say, and decide whether or not to continue with his very bad emotional decision to try to save Hera. Bilbo gave up the Ring. Kanan turned back around. As Kanan heads back towards the city, he is stopped by the mysterious white Loth-wolf, who has a message for him. Finally, #5: I hope it all ends OK. Now obviously I hope that the show overall ends OK. I need to see the crew of the Ghost survive, even if they decide to go their separate ways until the war is over. I really don’t want to see Kanan and Hera’s relationship end in tragedy, either, though I’m not naive to the fact that many fans do believe he will die, possibly in sacrifice for his “family”, before the show is over. What ever happens, however, I don’t want to see his and Hera’s relationship get blamed. I don’t want Kanan to make a rash decision and run into a trap because of his feelings for her. There’s a theory out there right now that the wolf showed Kanan a vision of Hera’s future, of all the things she’ll accomplish with the Rebellion, and this will lead to him laying down his own life to rescue her. If it’s an absolute necessity for Kanan to die, then I want it to be something like this. I want him to go into it with his eyes open, and I want it to be done in a way that won’t cause fans to blame their relationship for causing him to make a decision out of emotion and therefore lose his life. I don’t want to see yet another Star Wars character get punished for loving, when the entire core theme of the story is the power of Light, a.k.a. love, vs. Darkness, a.k.a. hate. Alrighty, that was a lot longer than I intended. (Can anyone else tell how much I NEED this show to start back, SOON??) But this is something that’s been going through my mind since watching the episode, and I’m thinking that a lot of fans might take it the wrong way, and just wanted to share my analysis of it all. May the Wind under your Wings carry you to where the Sun Sails and the Moon Walks, and the Force be with you, always! The Wolf. The Owl. And NOT THE WOLF. Last month, at Star Wars Celebration Orlando 2017, we got an incredible trailer for season 4 of Star Wars: Rebels. If you haven’t seen that incredible trailer, or you are just looking for a good excuse to re-watch it yet again (because seriously, who wouldn’t be?) here it is for you. Notice something important: starting at about 0:48, we get our first glimpses of a magnificent white wolf which seems to be playing an instrumental part in something Ezra and Sabine are up to. And we get another look at that wolf later on in the trailer when Kanan lays a hand on its nose in a setting somewhat similar to the lower levels of that ancient Jedi Temple we encountered in the first two seasons. As that wolf races across the plains of Lothal, we’re easily reminded of exactly how much Dave Filoni, Executive Producer of Star Wars: Rebels, loves these amazing creatures. Ever since that trailer released, fan speculation has gone wild. Almost every possibility that could ever be thought of has been explored, and the more popular ones have been hashed and re-hashed, over and over again. And one of the most popular theories circulating was that Ahsoka Tano, former Jedi Padawan of Anakin Skywalker, leader in the Rebel Alliance, and much loved fan-favorite who mysteriously disappeared from the galaxy in the season two finale, Twilight of the Apprentice, was somehow connected to that wolf. In fact, many have pushed the idea that she actually is the wolf, that somehow she has been reincarnated in this new form to rescue her fellow Jedi in their time of need. At the very end of that episode, the shadowed form of Ahsoka is seen descending lower into the darkness of the Sith Temple. A glowing white convor owl flies overheard, its cry piecing the murky darkness of Malachor. Fans had no idea whether to take that last scene as a metaphor describing Ahsoka’s demise, or if it was to be interpreted as a true confirmation that she survived. Fandom became divided. On one side were those who believed she was truly gone forever, killed by Vader or in someway departed to become one with the Force, and on the other were the die-hards, never giving up hope that she lives on even now, and staunchly holding their ground against any doubters. These “#AhsokaLives!”ers find their ways into just about every event. Even Ahsoka’s actress from both Star Wars: The Clone Wars and Rebels joins in to stir the pot of the controversy on occasion, including shouting “Ahsoka Lives!” to a crowd of screaming fans during the “Heroines of Star Wars” panel at SWCO 2017. Last year at Star Wars Celebration London the topic was briefly touched upon, and a set of digital trading cards drawn by Filoni, showing Ahsoka in and around the Sith Temple on Malachor (presumably after the events of Twilight of the Apprentice), were released. It seems that Ahsoka Tano may truly still be around. But the theory of Ahsoka being reincarnated as a giant, mystical white wolf is not one that I agree with. At all. I must admit, when I saw the trailer one of the first thoughts to pop into my head was that there must be some connection between Ahsoka and that wolf. Even now I hold to that original idea and truly hope we will see a connection between the two. But I don’t want to see them attempt to say that she has returned as an animal. Partly because that theory was just not something I was attracted to (just like the theory that Rey is Anakin Skywalker reincarnated), and partly because it totally twists the entire philosophy of the Star Wars universe to add in reincarnation. Based on what we know about the Force, life, and the “afterlife” in Star Wars, once you’re dead, you’re dead. Of course, the Jedi believe that no one ever truly dies in the sense that you become entirely nonexistent. Your life-force becomes one with the cosmic Force, the the energy field that Jedi, Sith, and their off-shoots draw their power from. But it just can’t work to try to cram in reincarnation. Which brings me to what I am here to show you today: this drawing and Twitter post that was released Wednesday, June 7. It might be my Birthday, but here is a gift, and perhaps a clarification, for you. And there we have it. Ahsoka is NOT THE WOLF. But might the wolf have something to do with Ahsoka? YES! We already know that Ahsoka survived the fall of the Jedi during Order 66 with the help of some giant wolves on Mandalore. Now showing a sketch of Ahsoka riding a huge wolf. Filoni explains the scene: clones mistake the wolves for trees, as their legs are so big. Sounds amazing! Applause from the crowd! So we know that there is a very good chance that there IS some type of connection between Ahsoka and this wolf. Possibly it helps Sabine, Ezra, and the others because it remembers Ahsoka. Perhaps Ahsoka herself has even sent it to their aid! In closing, I just want to give you a little more food for thought. This is an idea that popped into my head the other day, and though I haven’t yet been able to thoroughly work it out into a full-fledged theory, I feel that is it worth mentioning. Dave Filoni is a huge Lord of the Rings fan. He loves the works of Tolkien, and references them often as some of the biggest inspirations for his own stories. No one can possibly have been into the mythology and legends of Middle-Earth for any amount of time without having come across the story of Beren and Luthien Tinuviel, the Man and Elf who attempted to steal a Silmaril from the crown of Morgoth himself. Along their way they were aided by Huan, a being who was often in the form of a giant hound. Without his help they never could have escaped Morgoth’s own hounds, nor could they have stolen his precious jewel. Sadly, though the summary of this tale is in The Silmarillion, as well as Unfinished Tales, Tolkien died before he was able to fully finish and publish the story. However, at the beginning of this month, their story was finally released in the fullest form possible. Now is it just me, or does this hound look extremely similar to the giant wolf that Ezra and Sabine are riding? And notice that Ezra seems to be holding some sort of box-shaped item as he clings to a seemingly unconscious Sabine on the back of that wolf….